Make a lasting impression with our high-quality business gifts for clients, contractors, employees, and more. 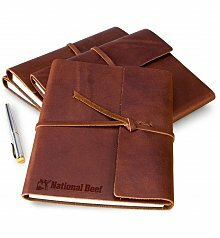 Need help with your business order? Visit our business gifting page for assistance. Creating a lasting impression with colleagues, clients and employees is the cornerstone of the GiftTree Business Gifting mission. Our Business Gifting Services Team works with you to create gifts that are both unique to your business and completely memorable, by adding personalized messages or your business's logo directly onto your gift. We can add customized plaques, printed satin ribbons, silver hang tags and more to our exclusive gifts that are filled with exceptional goods of uncompromising quality. 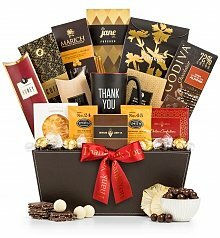 GiftTree's understanding of corporate gifting is what makes us the best in the business. 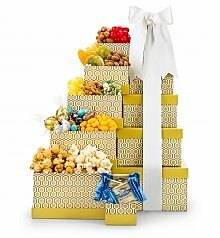 Whether you need fifty, one hundred, or one thousand, our business gift ordering process is quick and simple. If you need list management, volume discounts and individualized shipping, we've got you covered. Whatever your needs may be, our Business Gifting Services team personally fulfills customized gift orders for employees, clients or colleagues. 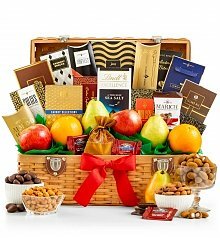 For a gift that promises to please, GiftTree gift baskets are the perfect choice. 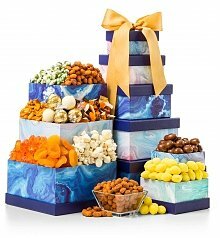 Our unparalleled selection of gifts for clients, colleagues and employees have been making the right impression with business customers for nearly 20 years. 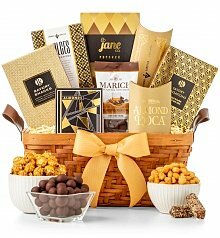 Reach out to our Business Gifting Services Team today! We're happy to assist, and we promise a friendly, positive experience every time. 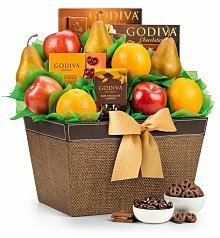 Working with the GiftTree Business Gifting Services team allows us to do the heavy lifting when it comes to client and customer gifts. 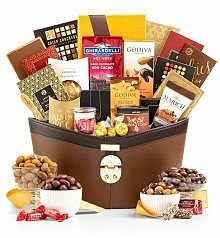 We will sort through business thank you gift ideas to craft the perfect experience from day one. 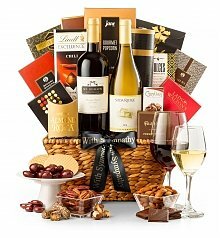 With years of experience sending business appreciation gifts we know just what is appropriate for each and every situation. Trust our team to send the right sentiment for corporate client accounts, employee anniversaries, or big moments in a customer's life. We'll have your personalized gift shipped and on the way before you know it!